UNIMA HELLAS | ΕΛΛΗΝΙΚΟ ΚΕΝΤΡΟ ΚΟΥΚΛΟΘΕΑΤΡΟΥ: Χρόνια μας πολλά! Σήμερα γιορτάζουμε την Παγκόσμια Ημέρα Κουκλοθεάτρου! Χρόνια μας πολλά! Σήμερα γιορτάζουμε την Παγκόσμια Ημέρα Κουκλοθεάτρου! Together, we create the movement. εδώ και τουλάχιστον 25 χιλιάδες χρόνια. παραμένουν μαγικές και τρομακτικές και γελοίες. Φέτος η UNIMA, η Διεθνής Ένωση Κουκλοθεάτρου, κλείνει τα 90! Ο πιο παλιός διεθνής θεατρικός οργανισμός! την επικοινωνία, την αλληλοβοήθεια και την δημιουργική συνύπαρξη. που τους δίνετε ζωή, και μας αναγκάζετε να μην παίρνουμε ανάσα. μαζί με όλες τις άλλες! από τον Dadi Pudumjee, κουκλοπαίκτη και προέδρου της διεθνούς UNIMA. My dear fellow puppeteers, UNIMA members and esteemed colleagues present with us today from all over the world – my heartfelt welcome to all! When I was requested to write the UNIMA world puppet day message for 2019, I was moved beyond words, for it is a great honour and privilege to address all of you in the 90th anniversary year of this great organisation of ours – Union International de la Marionette -UNIMA. I am proud to share that we are the oldest international puppet theatre organization in the world. Tradition, talent, imagination and hard work: these are the solid pillars supporting UNIMA – as we proudly look back on our history and legacy. Our founding members and the many that have carried on their visionary work – these are the individuals who have shaped the world of puppetry. Some are with us today, others are in our memories, yet their ideals, values, artistic legacy, and above all empathy, lives on through our more than 90 national centers and representatives all over the world. Since its very beginning, UNIMA has been known as a platform to nurture, support, exchange and share creative ideas, thoughts and work. In this 90th year of UNIMA, our commitment must be to the new and coming generations of young puppeteers – both traditional and modern who create the most beautiful essence of their imagination, creativity and commentary. We are now on the bridge, if I may say so, carrying the baggage of previous generations, reinventing ourselves, and looking into a bright and positive future. We live today in an age of technology and change that brings huge opportunities to puppetry and UNIMA – to engage with new audiences, to use puppets in ways that tell stories more vividly, and to create and come up with new models of distribution and platforms to display our work. Often I have heard people say but why UNIMA – to this I can say UNIMA is a global family with Human Re- sources available worldwide – that is what makes the organization what it is and defines what it stands for. We have a huge voluntary army of individuals across the world, who are always ready to help and nurture all talent. Let us celebrate then this love not only for the art of puppetry, but above all to try to understand the differences that exist between nations and cultures, which need to be brought closer and wiped away, with a celebration of this kind today. This organization and art form allows us to promote the noblest human values such as peace and mutual understanding between people regardless of their origin, political or religious convictions and differences in culture, in accordance with the respect for fundamental human rights as defined in the United Nations Universal Declaration of Human Rights. 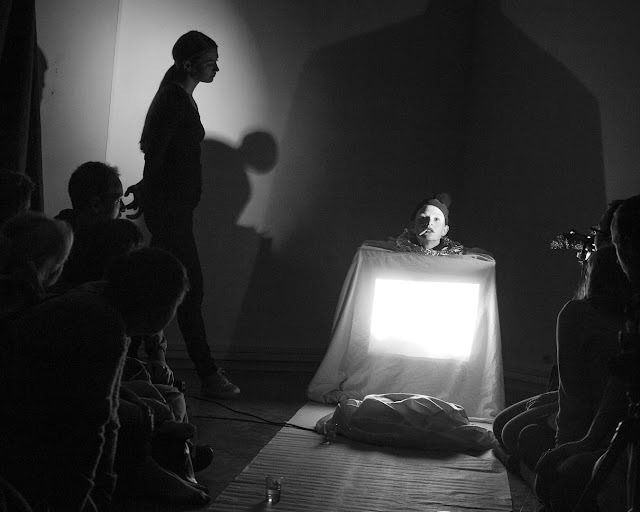 Present in more than 90 countries, UNIMA is a platform to exchange and to share between people who practice puppetry, research, history and who are passionate about this art form. 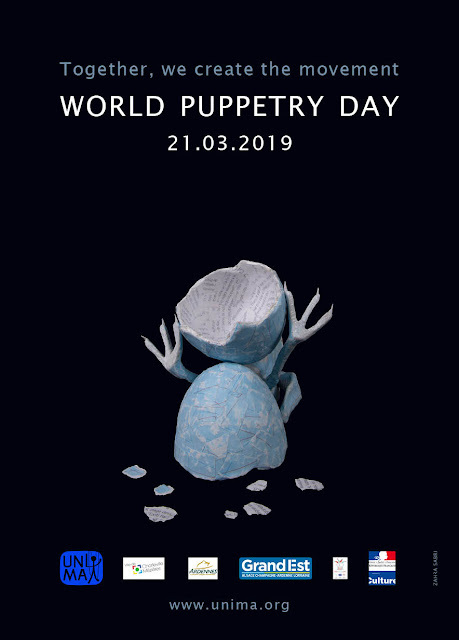 On World Puppet Day – I am delighted to see that as an organization we have reached so many people and so many communities worldwide, particularly in disadvantaged areas for whom the opportunity to experience puppet theatre would have otherwise been non-existent. It is an honor and a privilege to work with all of you as President of UNIMA. Throughout my travels and associations as President, I have encountered a great feeling of togetherness amongst puppeteers around the world; there is a flame in all of you, that keeps us going no matter what the situation; and there is always a smile when we meet each other and exchange thoughts and ideas. I have been able to cultivate great friendships and build a wonderful family across the world, and that is what will stay with me for the rest of my days. Αναρτήθηκε από Unima Hellas στις 11:40 μ.μ.